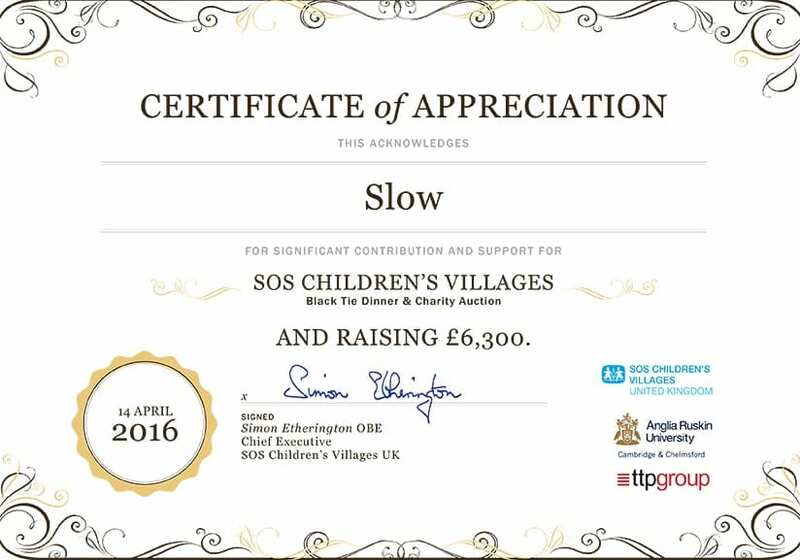 slow watches is proud to support people to do good and raise money for Children in need. 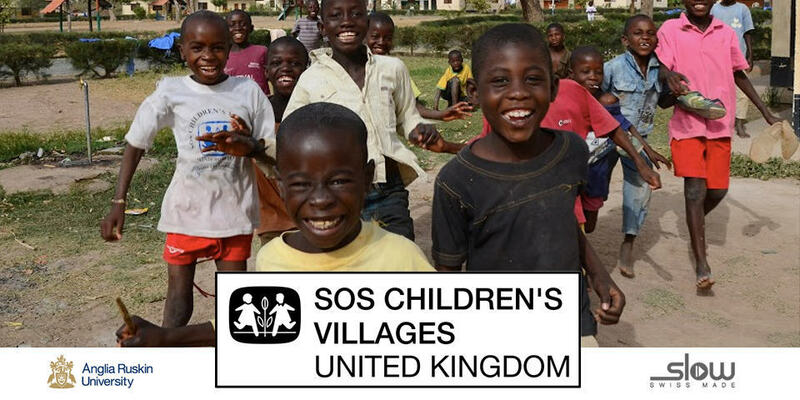 Last week we supported our friends from Anglia Ruskin University to raise GBP 6,300 for Cambridge-based charity SOS Children’s Villages that has been supporting children around 125 countries since 1949. Our slow watches were part of an auction to raise a good amount of funds during the Cambridge Black Tie Charity Dinner. As a company we always try to give something back and help people in need. For example we raised over 10.000€ for Kids in Brazil before and are proud to be part of this great charity again. We would like to send a big thank you to the Anglia Ruskin University-team for the amazing job they did and hope to inspire more people to do good! And of course it also feels fantastic that our support is appreciated – especially when it comes as such a nice certificate.